You’ve worn the glasses. Seen the demos. Winced at objects flying out the screen. And you’re ready to buy a 3D TV. Congratulations, brave early adopter. Although the 3DTV maelstrom at CES 2010 generated a fair bit of skepticism, the technology also managed to floor many people, and if the commercial success of Avatar is any indication, 3D movies aren’t going to disappear any time soon. Ready to get in on the ground floor? Watch out, it’s still under construction. But our 3D TV buyer’s guide can help show you how to set up shop in three dimensions. Follow along as we lay your questions on the new format to rest. Which new models were announced at CES 2010? When will they be available? With the exception of Samsung’s LED8000 series (which will be trumped by the LED9000 later on), these represent flagship models. Most manufacturers are also offering more stripped down versions at lower price points. Check out 3DMovieList for a comprehensive list of models, release dates and features. Although this new crop of LCD and plasma televisions is responsible for generating the latest wave of hype for 3D TV, it’s worth noting that both Samsung and Mitsubishi were manufacturing 3D-capable TVs using DLP technology for years. 3DMovieList has more information on these models. Can I watch 2D video on a 3D TV? Absolutely. All of the upcoming 3D TV models above represent flagship models from their respective manufacturers, which means they won’t just play 2D television, it should look top notch. Nothing about the tech needed to make 3D-capable sacrifices 2D images quality, so even if you intend to watch 99-percent of your programming without glasses, you shouldn’t think twice about buying a 3D TV. Will I absolutely need 3D glasses? How do they work? How much will extra pairs cost? Every consumer-grade 3D TV today requires glasses to produce a 3D effect. Although many companies have demonstrated tech demos at trade shows that show how 3D can be produced without glasses, none of them are yet ready for prime time. 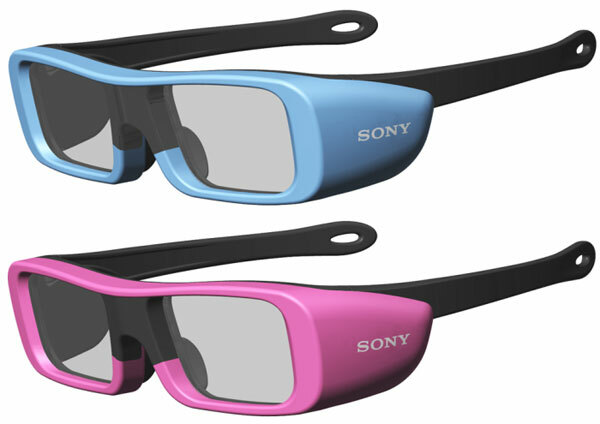 Unlike movie theaters, which use polarized glasses, 3D TVs use active-shutter LCD glasses. This means a tiny transmitter inside actually communicates with the TV to block your left eye when an image for the right eye is on the screen, and vice versa, 120 times per second. This rapid-fire trickery requires electronics and a small battery, making them heavier and bulkier than the cheap polarized glasses you may have used in a 3D cinema. Although most 3D TVs will come with one or more pairs of glasses, you should also be prepared to buy additional pairs unless you really plan on sitting in your basement watching Cloudy with a Chance of Meatballs all by yourself. Although not all manufacturers have announced pricing for the glasses that will pair with the new models, don’t expect them to be cheap. Samsung, which already has 3D displays on the market, charges $130 for a pair of its rather dorky 3D shades. Nvidia charges $149. Even if the TV you buy comes with a two pairs, that’s another $260 to get the kids on board, and more if you want to invite the neighbors over to gloat. Make sure to factor the price into your purchase. Which new models were announced at CES 2010? When will they be available? What will I be able to watch in 3D?